Guruji’s journey has truly been an adventure. From travelling at the age of 12 for purchasing purposes to Mumbai to showcasing his talent at a global platform at the age of 18, he had achieved more than anyone could think of. His creativity and eye for perfection made him cross boundaries without any fear. His business grew multifolds and new branches emerged within no time. From exploring his luck in movies to directing behind the scenes or creating jingles, he was truly an achiever in all fields.A successful career path paved the way for a beautiful journey that lead towards “spirituality”. The acquaintance with Dada Guruji was a life changing experience. An experience that today exists in the form of Himgiri. 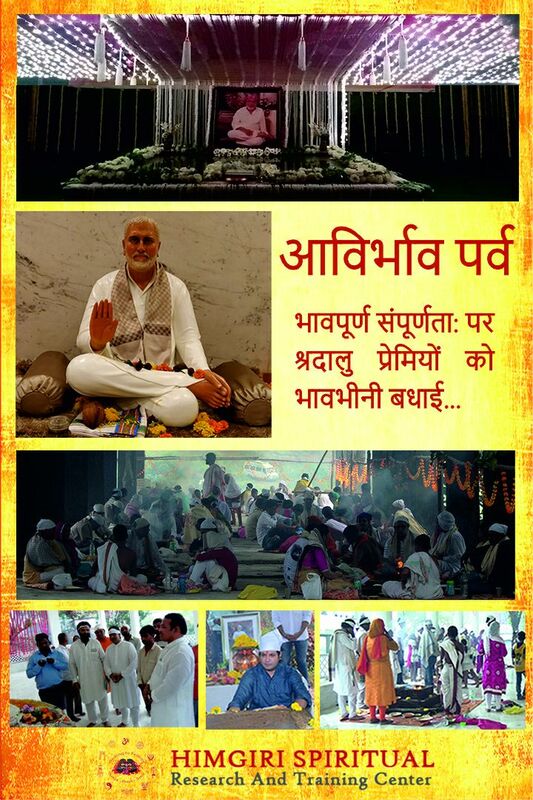 Seva became his ultimate goal and this passion forms the base of Himgiri Spritual Research and Training Center. Renouncing everything and yet being content is an art to be mastered from the Guru himself. A true surrender in his Guru’s feet was the actually understanding of life. Today Himgiri is a global aim based on “Satya, Prem and Seva”. As true disciple his seva was “unmatched” and Seva today is considered as the most vital aspect for transpiring positive thoughts thereby enabling the Guru Tattva present in each one of us.